Build a Better Mousetrap is a Federal Highway Administration (FHWA) sponsored program that annually recognizes innovation among local agencies and tribes. The program shines a spotlight on those frontline workers who use their expertise and creativity to solve everyday problems that increase safety, reduce costs, and improve efficiency. 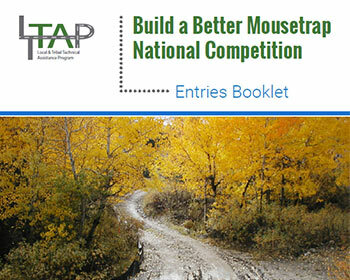 The FHWA's Office of Innovative Program Delivery's Center for Local Aid Support (CLAS) administers the Build a Better Mousetrap national competition. Entrants are winners from competitions throughout the country at the Local Technical Assistance Program (LTAP) and Tribal Technical Assistance Program (TTAP) Centers.